Note: This article contains an affiliate link to TourRadar. If you click through and make a purchase, we earn a small commission at no extra cost to you… and we can eat this week! 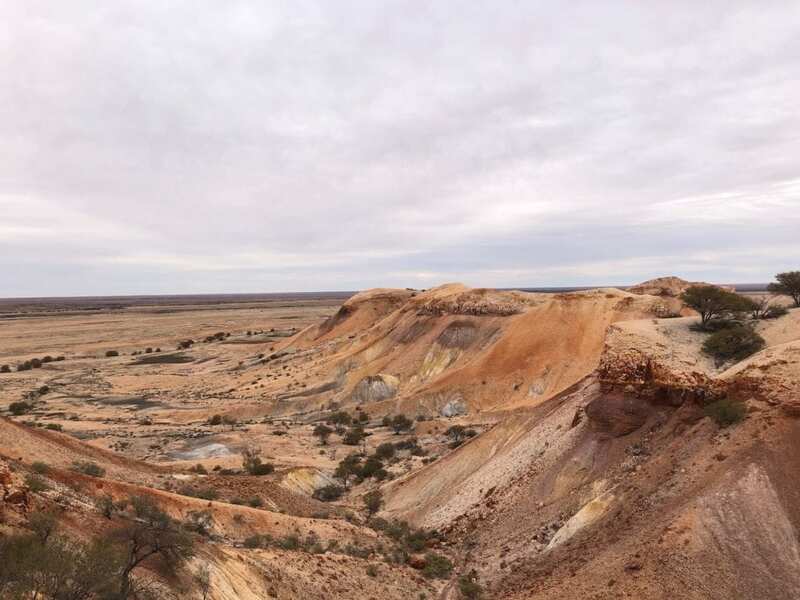 The Painted Desert in South Australia takes your breath away. 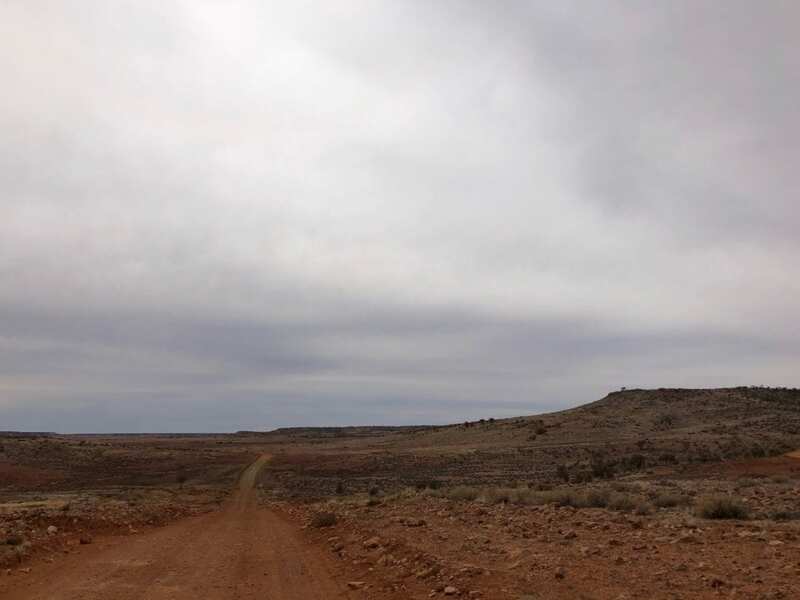 In amongst those strange flat-topped mesas you feel like you’ve been transported to the moon. Even under a rare grey sky, the colours are extraordinary. All around, the colours constantly change and do indeed give the appearance of a painted desert. Even in poor light, the colours are distinct. 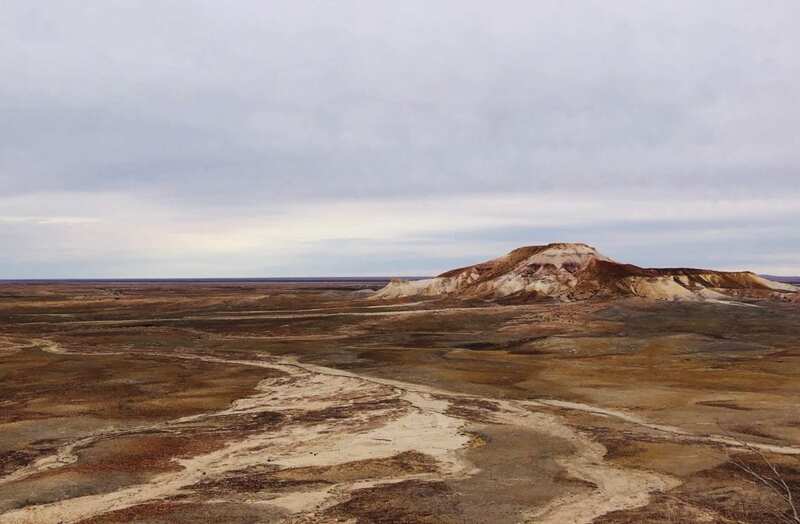 It’s hard to believe the Painted Desert was once and ancient seabed formed over 80 million years ago. The land has been pushed up then eroded away to reveal the coloured shales under the surface. The homestead is beside Arckaringa Creek, a desert watercourse with trees desperately searching for moisture under the rocky surface. Beyond Arckaringa Creek you’ll see the hills of the Painted Desert in the distance. This is an arid desert landscape, there’s no doubt about it. The occasional stunted bit of scrub and that’s about it. 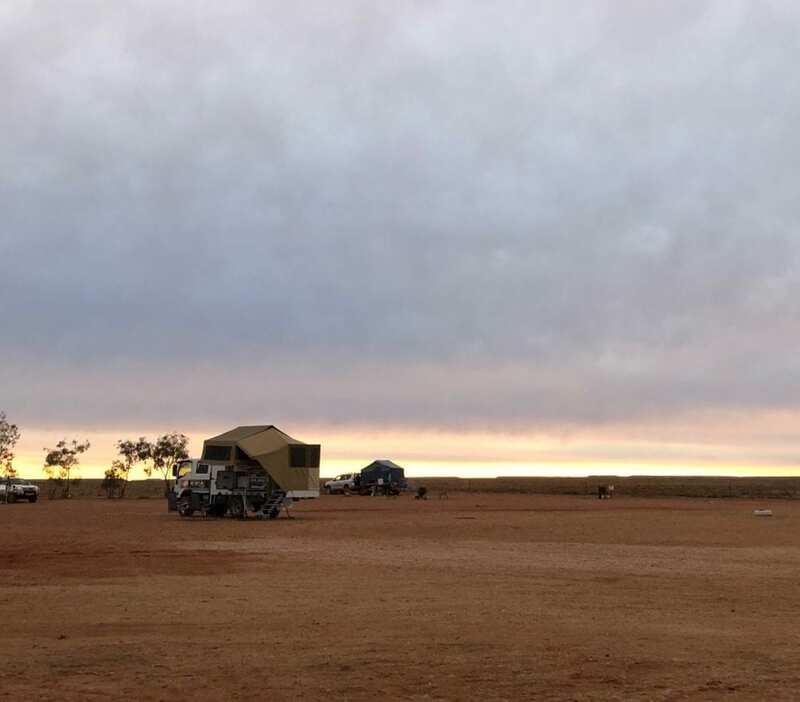 We camped at Arckaringa Station. They have a basic campsite with showers, toilets and a basic camp kitchen, all clean and well looked after. We met Katy, a lovely lady who originally hails from east of Alice Springs. 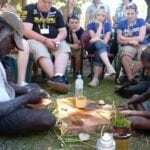 She and her partner Paul manage Arckaringa and she teaches her eldest distance education. Set up at Arckaringa campground. This is your only option for camping. Keep in mind you’re on private property, so don’t be tempted to find a spot up the road. Anyway, around here it would be very exposed. Unusually, the day was overcast. 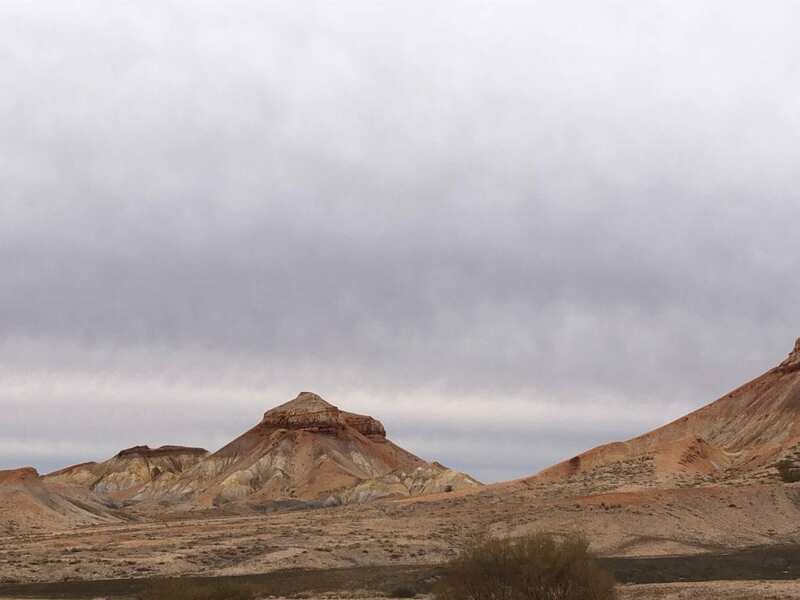 The sky was blanketed in thick cloud, so unfortunately we didn’t see the Painted Desert at its best. We waited until later in the day before we drove out to the hills of the Painted Desert, planning to see the sunset. However the sky just wasn’t going to clear. Not to worry! We still managed to get some amazing drone footage. The colours are extraordinary. There’s a walking track up to a high point. This gives you a feel for the extent of the place and you can see for many miles across the flat plains. The colours of the Painted Desert from up high. These flat-topped mesas have formed after millions of years of erosion. Up close you realise the hills are built from billions of small pieces of shale, most about the size of half of your little finger. We assume it was originally clay, with different colours laid on top of each other. The hills consist almost entirely of shale. The odd hardy plant clings on and survives somehow. Further along the road to the west is a lookout. The country here is even more desolate. At the foot of the hills is a forest of loose stones washed out of the hills. It almost looks like a lava flow… many shades of grey through to reds and yellows. From here to the hill in the distance is a bed of stones, forming coloured patterns in the landscape. It seems like nothing is hardy enough to grow in this spot. By now you’ve probably realised this is pretty sparse country. However like most desert country, it has a harsh beauty. And the hills are actually quite fragile. The loose shale is easily dislodged, so it needs to be treated with care and respect. You have a few options when travelling to the Painted Desert. 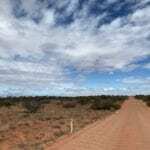 We drove south down the Stuart Highway after visiting Kata Tjuta and Uluru. We turned east just south of Cadney Park and followed the road in. It was in good condition for a while then deteriorated as we entered breakaway country. Even though it had only been graded a few weeks before, you expect corrugations in this rocky, winding, hilly country. So the trip is slow. Just take your time, you’ll be fine. Breakaway country on the road in from the Stuart Highway. As you travel east in the breakaway country, glimpses of coloured soils appear here and there. This is but a taste of what’s to come. 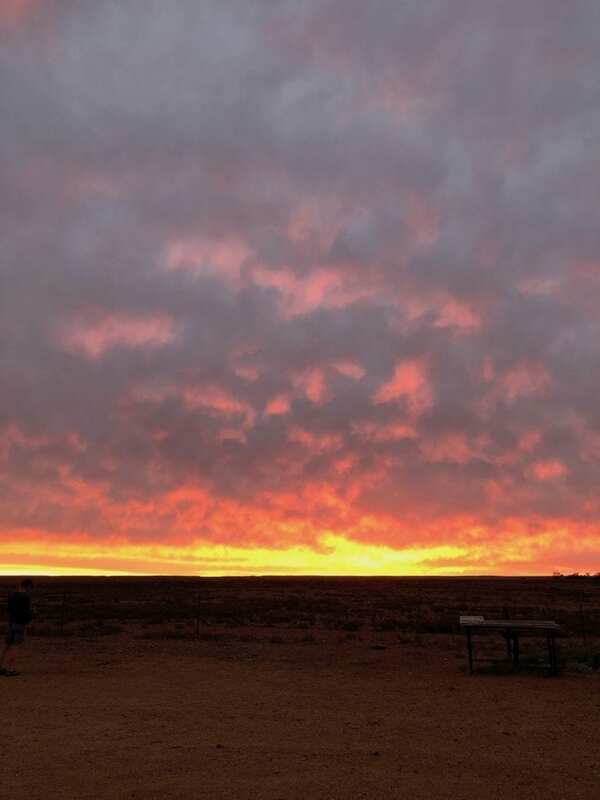 You can also get here from Oodnadatta to the north-east or from Coober Pedy to the south. 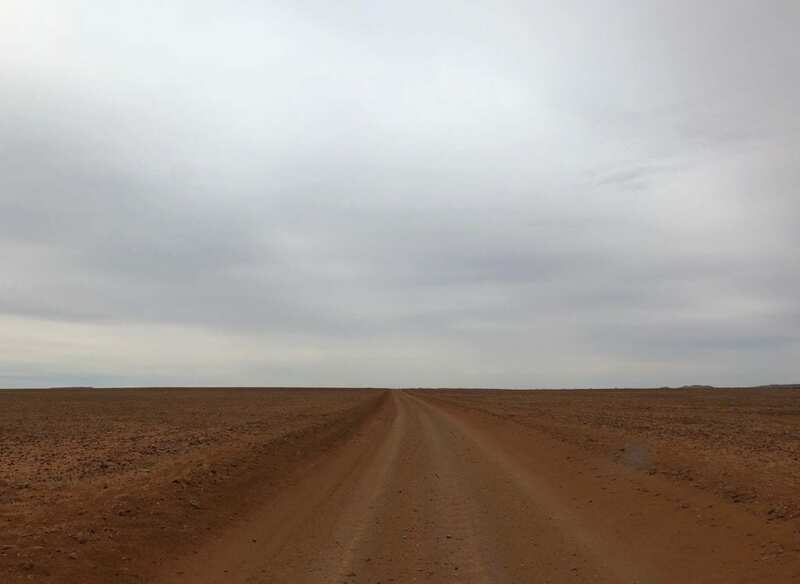 The road to Oodnadatta was generally in good shape. No matter which way you go, a well-prepared 4WD will certainly make for an easier trip. 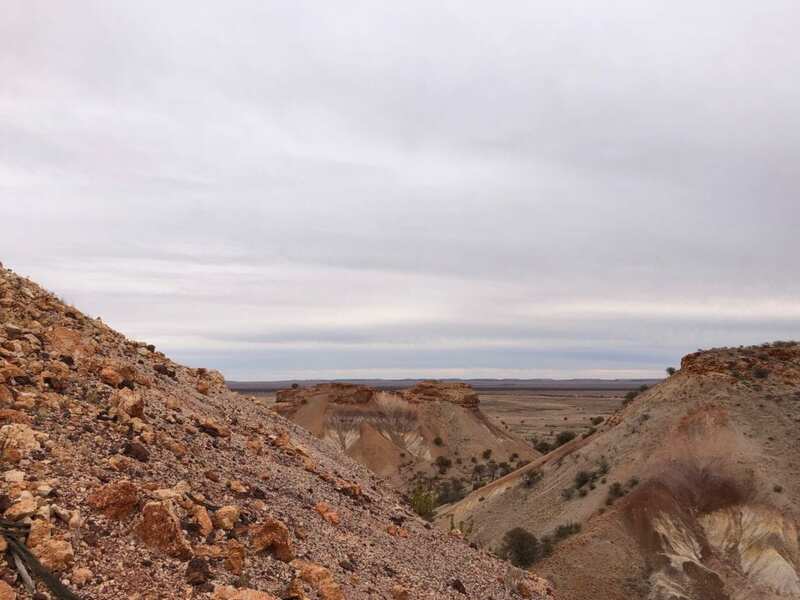 The Painted Desert of South Australia is unlike anything we’ve seen before. Combined with the arid landscape, you just don’t expect to see such vivid beauty here. Just on dark at the campground. The sun broke through the clouds as if to say, “You should have stayed out there and watched the sunset”! Allow to stay a night or two and take it all in. One word of advice though. Go in winter or early spring. In summer, the Painted Desert would be like a furnace! 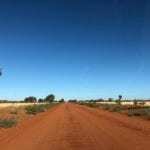 TourRadar have a Central Australian discovery tour which runs through some of the country mentioned in this article. The Painted Desert is on Antakarinja Country. 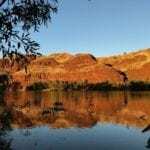 For more great Outback Destinations, go here.